…The Super Bowl LI Halftime Show featuring Lady Gaga is the most-watched musical event of all-time across all platforms and the most-watched Super Bowl halftime performance in history through broadcast and digital channels, according to the NFL. 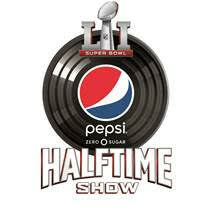 Nearly 118 million viewers tuned into the performance on the FOX broadcast network. In addition, Lady Gaga’s performance at NRG Stadium in Houston is the most-viewed content on NFL’s digital platforms, including but not limited to NFL.com, NFL Mobile, Twitter, YouTube, and Giphy. Through these channels, the Pepsi Zero Sugar Super Bowl LI Halftime Show reached at least 150 million unique people, garnering more than 80 million views and totaling 260 million minutes watched. The Halftime Show is the most-watched video on the NFL’s YouTube channel, with more than 24 million views and more than 140 million minutes watched. If Lady Gaga’s performance was its own NFL week on YouTube, it would be the fifth-highest watched week of all-time. …The Golden State Warriors’ victory over the Oklahoma City Thunder on the Feb. 11 edition of NBA Saturday Primetime on ABC averaged 6,036,000 viewers (p2+) and a 3.4 U.S. household rating, making it the most-watched and highest-rated, non-Christmas NBA regular-season game on any network in four years (since Feb. 10, 2013, Lakers-Heat on ABC). According to Nielsen, the broadcast peaked with 7,038,000 viewers from 11-11:15 p.m. ET, despite the 16 point margin of victory. This is the most-watched and highest-rated broadcast in the two-season history of NBA Saturday Primetime on ABC franchise.Saturday’s broadcast was up 74 percent in viewership and 55 percent in U.S. household rating from last season’s comparable game between the Golden State Warriors and the LA Clippers, which did 3,472,000 viewers and a 2.2 U.S. household rating. …North Carolina at Duke (February 9 at 8 p.m. ET on ESPN) delivered a total live audience (TV + Streaming) of 3,184,000 viewers, the most-watched weekday college basketball game of the year on any network. The viewership is up 8% from the Tar Heels-Blue Devils’ first meeting last season on February 17, 2016 (2,938,000 viewers). The matchup is ESPN’s second to surpass 3 million viewers this season, joining Kansas at Kentucky as part of the 2017 SEC/Big 12 Challenge on Saturday, January 28 (3,426,000 viewers). The television viewership (3,081,000 viewers) peaked at 4,068,000 people during the final minutes of the second half (9:45 p.m. – 10 p.m.). ESPN’s streaming of the game had an average minute audience of 103,000 viewers with a total of 319,000 viewers watching 12,675,000 minutes, new records in all three categories for a college basketball game on ESPN. Oregon at UCLA (February 9 at 10 p.m. on ESPN) delivered a total live audience of 1,709,000 viewers, ESPN’s most-watched Pac-12 conference regular season game (records go back to 1992). On television, overnight local ratings set a record in Portland and a nine-year high in Los Angeles. …Top ranked UConn’s 66-55 milestone 100th-consecutive victory over No. 6 South Carolina on Monday, Feb. 13 (9 p.m. ET, ESPN2), delivered a 0.9 overnight rating, marking the highest-rated college basketball game on ESPN2 this season among men’s and women’s telecasts, and the highest-rated women’s college basketball regular season game since 2010. Online, the game also attracted 69,000 unique viewers with a total of 1,700,000 minutes watched, which makes this matchup the most streamed women’s college basketball regular-season game to date televised by ESPN. The Big Monday matchup ties Tennessee vs. Duke (Jan. 23, 2006) as the fourth-highest regular-season women’s college basketball game across all ESPN networks.